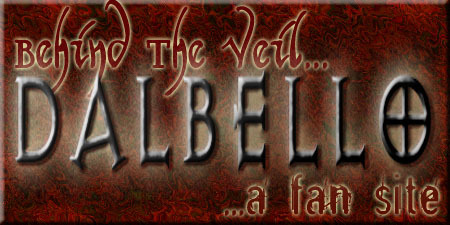 Welcome to my fan site for the Canadian singer/songwriter best known simply as Dalbello! Unfortunately, it appears that the service I used to re-direct from the easy-to-remember "dalbello.4x2.net" to this site is no longer in existence. In addition, many of the guestbook entries were housed through that same service, so they appear to be lost as well. From now on, please use "dalbello.synthasite.com" to access the fan site. I have changed the link on the wikipedia page to reflect this, so hopefully any of you who link to this page can change your links as well. Thank you! Thanks go to David Connell for the heads-up! *** As of May 25, 2011, the album "Pretty Girls" is available on CD for the very first time as an import from Japan!!! As always, I welcome your comments and suggestions. To sign the Guest Book, click on "Guest Book" on the bottom toolbar of the page (you'll only see this if you've entered the site from http://dalbello.4x2.net). Or you can simply e-mail me! Theme from "The Sins of Dorian Gray"
I have transferred all of the Guest Book Comments from the previous homepage to the current Guest Book you'll find at the bottom of your browser (if you don't see it, click here). Robert Palmer & Lisa Dalbello were featured on jazz musician Hugh Marsh's 1987 album Shaking The Pumpkin on the social commentary track "Rules Are Made To Be Broken," taking turns reciting Nazi cultural rules defining what types of music were permissible. Special performances of "Tango" & "Talk To Me" uploaded at YouTube from 1987; now added to Videos page! and your protection is minimal... "
Pages for Links, Biography and more rare/impossible-to-find songs!